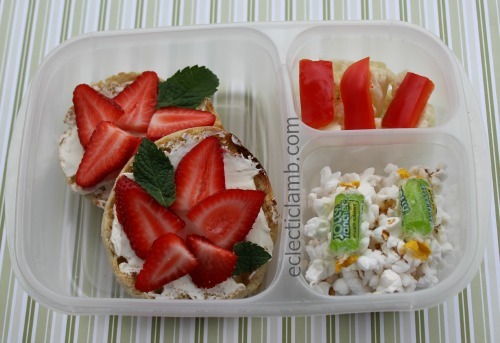 Today is Poinsettia Day so I made this simple Poinsettia themed lunch. It was easy to make and delicious. This entry was posted in Bento / Cute Food, Food and tagged bento, christmas. Bookmark the permalink. This is amazing! What a clever clever idea! Love this! What a smart way to create poinsettias! Love this! You can call them another kind of flower in spring, too. Great idea to use sliced strawberries for a poinsettia!